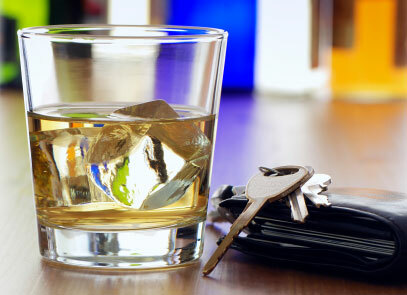 AN EXPERIENCED DUI DEFENSE ATTORNEY COULD PREVENT A DUI CONVICTION! In addition to the criminal consequences of a DUI, after arrest for DUI, the driver has only 10 days (including weekends and holidays) to request a DMV hearing. Otherwise, the driver is at risk of an automatic license suspension. Fight for your rights! Contact the DMV or contact the Law Office of Peter A Duarte to assist you in securing a DMV hearing! Drivers charged with a DUI offense can succeed in court appearances and at DMV hearings, but these processes are extremely complex. The penalty for a conviction is high, but a conviction is not the only possible outcome. You can fight a drunk driving case and avoid a conviction with the help of an experienced DUI defense attorney. If you have been arrested for DUI, Peter A. Duarte can find the weaknesses in the government's case; seek to have evidence suppressed; initiate a detailed discovery plan to obtain evidence to attack the prosecution's case; obtain independent blood sample analysis; obtain expert witnesses for trial; negotiate for a lesser charge or a reduced sentence; contest the DMV's administrative license suspension; and maximize your chances of avoiding a conviction. Peter A. Duarte has defended hundreds of DUI cases with positive results! We serve the following localities: Mill Valley, Novato, San Rafael, Napa County, Calistoga, Napa, San Francisco County, San Francisco, Solano County, Fairfield, Vallejo, Sonoma County, Cloverdale, Cotati, Forestville, Healdsburg, Petaluma, Rohnert Park, Santa Rosa, Sebastopol, Sonoma, Windsor, Lake County, Clearlake, Kelseyville, Lakeport, Middletown, Marin County, and Sausalito.